Why would anyone want to check out whose manure taste the best, I don't know. 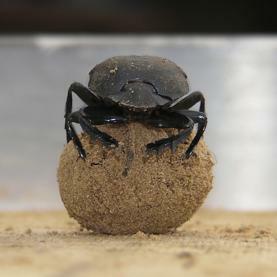 But it's exhilarating to know that we've won the interspecies dung contest (or rather, the first runner up). 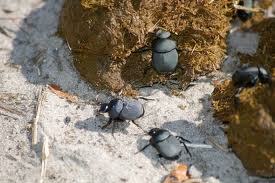 The judges for the contest would happily chomp on any manure, and yes, they're a group of nine thousand dung beetles. Two entomologists, Sean Whipple and W. Wyatt Hoback set out to an organic cattle ranch where there were plenty of dung beetles crawling around. They took dungs from several animals native to North America (bison, cougar, moose), and also from animals from other parts of the world (tiger, lion, zebra), and presented them to the panel of dung experts. Different beetle species favored different types of dung. But dungs from omnivore were clear winners, and chimpanzee and human feces were right there at the top. Carnivore dungs were more attractive than most herbivore dungs. And even more amazing, the two least attractive dungs were those coming from two native species, the bison and the moose (clearly I was expecting the beetles to stick to their staple diet). The researchers then tested the nutritional level of the dung, and found out that human dung had the highest nitrogen content, which meant the human dung were of the highest quality. This, however, is not the reason why our dung were so sought after. As for the difference in diet, the authors said the exotic dungs were collected from a local zoo, where the carnivores were fed the same diet, so were the herbivores. 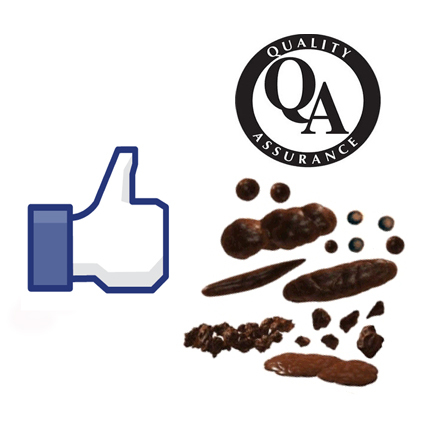 So, the fact that the beetles favored different types of poops suggested there was more to poop flavor than the diet. I believe it's the smell.